Become a raindrop and go on an interactive adventure through a water-cycle-themed maze. Have fun riding the Watershed Zip Line, walk through a giant wetland, and snap a pic of your family "swimming" with the dolphinsall while developing a deeper understanding of your place in the water ecosystem. 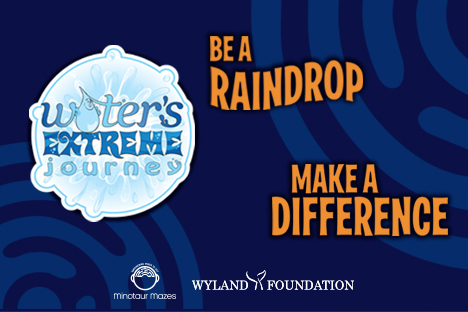 Tickets required: $10–12 Water's Extreme Journey is included with your admission. Free for members.